The more I think about equity crowdfunding the more I believe that this is going to be the new VSE (Vancouver Stock Exchange). It’s almost inevitable when you stop and think about it. Doesn’t “crowd” mean “public”? So why is crowdfunding any different?I’m a big fan of equity crowdfunding for two reasons: 1)I believe it’s anti-constitutional for the government to keep poorer people (i.e. the other 99%) out of the private equity market (how else will they get rich?) and 2)it’s time we let more than just the top 1% of the population invest without having to be accredited (ie. pass a wealth test). 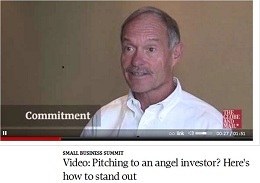 There aren’t enough angel investors. Governments encourage gambling. Why not encourage speculating in startups instead? The odds are a little better. Statistics Canada reports that the cutoff in 2012 to be in the top 1% of Canadian wage earners was $201K in annual income. Interestingly, $200K in income just happens to be one of the regulatory qualifiers that lets you be an accredited investor. This means that a professor of finance, for example, earning less than $200K would not be accredited. Silly, isn’t it? Just imagine how much new capital could be deployed if the barrier to entry was lowered? Fact: The regulations are what they are because regulators want to protect investors from fraud. Fact: Very few failures are due to fraud. Most companies fail for other reasons (usually poor management). The USA and many Canadian provinces are about to permit so-called equity crowdfunding by limiting the amount investors can invest (i.e. lose) to small amounts – under $10K. Saskatchewan, for example, was one of the first. But, this means that companies will end up with hundreds of shareholders. Isn’t that really like “going public” but without a trading market afterwards? Most investors will lose their money. That’s because most startups (well over 80%) fail within 10 years. And, for those that don’t fail – how will investors cash in? When will they have liquidity? In the meantime, as companies continue to sell more and more shares, how will the shareholders be managed? Will they get regular reports? What about the share register? Who will maintain that to ensure that share ownership is properly tracked? What if you lose your share certificate? In public companies, transfer agents do that and I’m sure that such services will also need to be applied to crowd-funded companies. It seems that the only real difference between going public and being crowdfunded is that when you go public, investors have liquidity (maybe marginal, but at least some) and with crowdfunding they don’t except that some portals are saying they will provide an after-market. In other words, we’ll have lots of little stock exchanges spring up. In the “old” days, the Vancouver Stock Exchange (now the Toronto Venture Exchange) allowed companies to go public (mostly mining companies but I think that model can apply nicely to tech companies). It was actually relatively easy (except for tech companies). However, in the meantime, a lot of burdensome regulations have been added that makes going public prohibitively expensive which is why companies don’t choose this option. That’s why crowdfunding looks like a good alternative. But is it really? The issues of liquidity, ownership, and success rates haven’t changed. Maybe an exchange like the Canadian Stock Exchange (theCSE.ca) and an overhauled going-public process (like a simplified prospectus), special regulations for small companies, and no need for an agent will do the trick! That, imho, is how we can make crowdfunding work.